DECEMBER challenge is now OPEN!! Hello, my name is Ann Melvin. I am a paper craft designer, Blogger, You-tuber & a total craft addict! My blog is full of great tutorials & inspiration. I post new content at least 3-5 times per week. Follow by Email & receive a notification when i publish a new post! 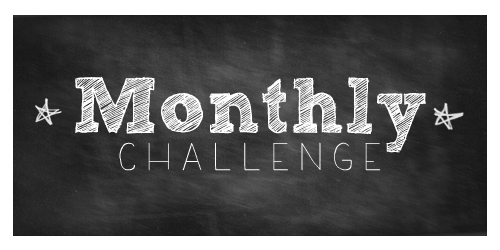 I am just back to let you all know that the December monthly challenge is now OPEN!! The theme for the month is GLITZ & GLAMOUR kindly chosen by last months winner, Bernadette Taylor. You have until the 31st December to get your entries to me. I know that Christmas is among all of that so the postal system will be all over the place. The best advice is to get your entries in asap. The winner will be announced between the 1-2nd January 2019!! You can make anything you like as long as you follow the Glitz & Glamour theme. Please remember to put your name & full address in with your entry. You can enter from anywhere in the world & i have lots of crafty prizes up for grabs. If you would like to enter please email me & i will give you my Address. My email is positivelypapercraft@gmail.com. I will look forward to your entries!! I am really excited about today's project, i think its so cool! Basically, from the outside it just looks like an ordinary box, however when you open it up, its anything but ordinary! Its a mini album! How cool??? I did see a project like this on another site but i can not seem to find it now. I saw the idea but used my own measurements etc. I really love this project and i loved making it to. Please do not think for one minute that this project is hard! Believe me when i say its very simple, it really is. Its not the quickest thing to make but its worth it! My box was made with Berry burst 12 x 12" card, Whisper white card and the share what you love DSP. I also used Dragonfly dreams thinlits and celebrate you thinlits which will be carrying over to the new annual catalogue! Welcome to my Blog and thank you for stopping by!! I am really pleased with Today's project and i think you will be to! I am calling this a Flip Flap/Shutter card. It reminds me of those shutter blinds that people have in there window. Its a really cool design. I came across this type of card on another YouTube channel called JK arts. I did make some changes to the measurements and also simplified the instructions a little as i found them a little tricky to follow. Please don't be put off thinking it looks really hard and complicated...its really not!! I think this card would be great for Valentines Day but you could also change the Hearts for Cakes or Balloons and turn it into a Birthday card. It would also be great as a Mothers Day card. Another thing i like about this card is that it folds totally flat. It also stands up perfectly to. A really great card for lots of different occasions. 2 X THICK CARD STOCK MEASURING 7 7/8" X 4 3/4"
Welcome back to my Blog. Today i have a really sturdy & super strong box for you. I am really quite pleased with this box & i know you will love it to!! It is not hard to make and i think it looks very professional to. As the title says it is triple enforced!! Once you make it you will see for yourself how strong it is. As you can see in the picture above i used the Delicate lace edgelit dies to make the closure of the box look more interesting and quite ornate. I added a cute padlock charm to finish it off. As you can see the inside is also very neat and professional looking. I even added a cute faux mirror to the inside of the lid. 2 X DESIGNER PAPER MEASURING 6 X 12"
SCORE THE LONG SIDE @ 3" & 9"
SCORE ALL 4 SIDES @ 2"
6 1/8" X 11 3/4"
Voted Top 50 Craft Blog!! Voted Top 100 Craft Channel!! The content on this Blog belongs to Ann Melvin of positivelypapercraft. You may use my projects for inspiration and i ask that if you do feature any of them on your Blog or website, please provide me with credit and link back to my Blog.